This classic stove top percolator from GSI Outdoors features an ultra-rugged construction and a handy PercView knob that lets you gauge the strength of your brew. The heat-resistant silicone handle provides safe and secure pouring. 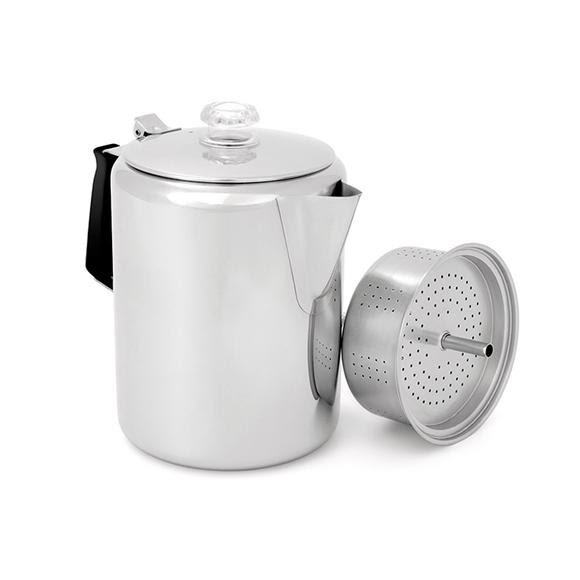 Seamless, ultra-rugged percolator crafted entirely from Glacier Stainless steel for years of unmatched taste and performance.